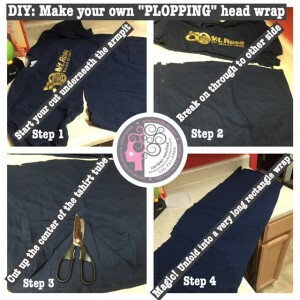 The swavy girl transitional struggle is real! Really really real. 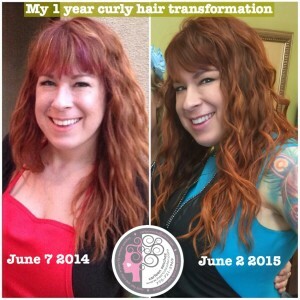 I had been preaching the benefits of following the Curly Girl Method to my guests for about 6 months before I started to take my own medicine. Immediately the doubtful thoughts started to flood my brain. Will my hair actually change? Will it improve? Should I go back to my old ways? My hair had a very loose wave to it that on a good day was “beachy,” but to me it just looked damaged. It was damaged from years of repeat heat & brush abuse with a couple keratin smoothing treatments thrown in to add to my mess. Why is my scalp greasy? 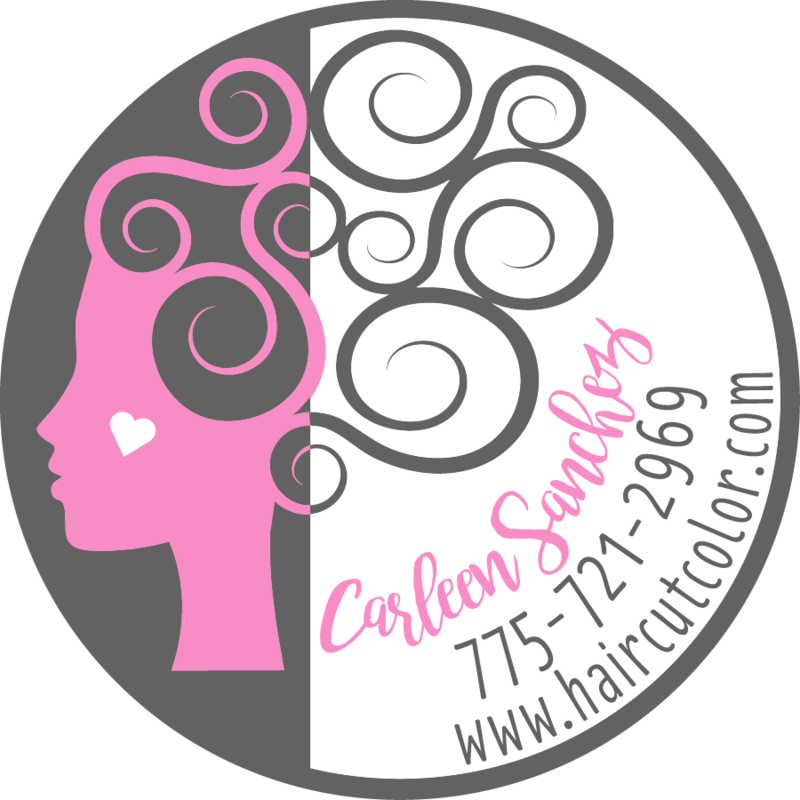 My scalp was re-balancing and adjusting to my new Silicone Sulfate and Paraben free cleansers and conditioners. Within a month, the grease was gone. Can I really put this much product in my hair? Before I went curly girl, I used a leave in Conditioner, silicone based oil and heat protection hairspray in small amounts. In going curly, I use a completely different regime of products on wet hair, IN the shower, in large amounts. Each time I showered, I would ponder if I should just blow it out and get the Victoria Secret curling iron styled look I used to wear. It was an internal struggle. First World problems, right? I really wanted to brush it and blow it out and curl it with my flat iron! 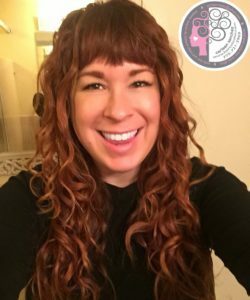 But I resisted the urge and held tight to the curly girl method, and my waves started to reward with frequent good hair days. 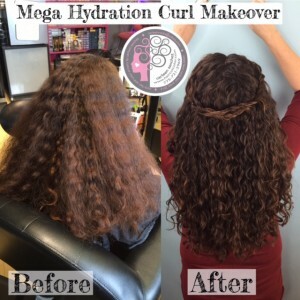 Say NO to Heat Damage, blowouts and brushing and Say YES to moisture and hydration! Now for the first time in my life I LOVE my hair! It is my favorite accessory. End the daily struggle with fighting your waves or curls, get started on your transitional journey. Hot tip! 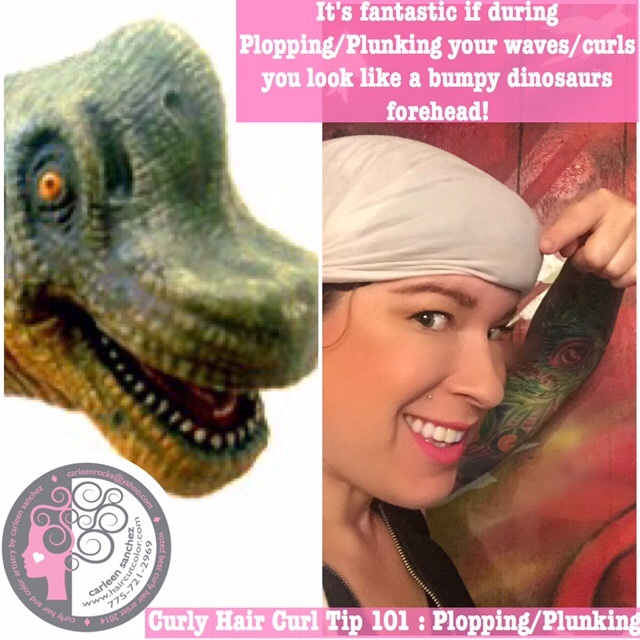 “The Curly Girl Handbook” by the original Curly girl Lorraine Massey is a wealth of curly/wavy knowledge. 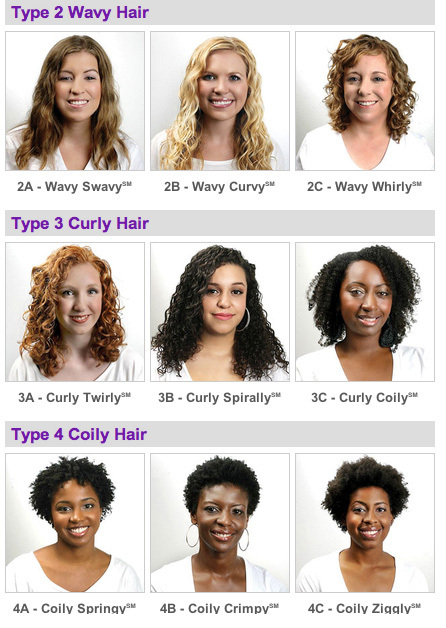 It’s the Curl Encyclopedia. Did you know that only 4 in 10 people with curly hair actually love and wear their curls? That number should be 10 out of 10! 1. TIME: The average person spends ten days a YEAR straightening, blowfrying and heat styling their hair! Embrace your curls, hit the snooze button and enjoy that extra time you’ll find you have each morning. 2. 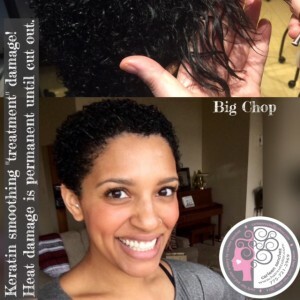 HEALTH:Your hair will grow faster and most scalp conditions will clear up when you adopt the “Curly Girl Method” routine for your curl type. 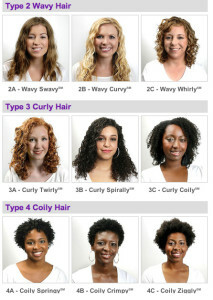 “The Curly Girl Handbook” by Lorraine Massey is a must for every wavy and curly girl. 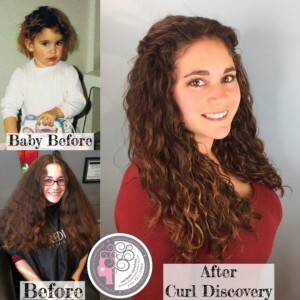 It is the foundation for “the curly girl method” which says NO to abrasive brushes, high heat tools, and products containing sulfates (they dry out hair & scalp), silicones (liquid plastic that suffocates the hair), and parabens (cancer causing preservatives). 3. UNIQUENESS: Wearing your natural texture and celebrating and loving what you naturally are born with is a wonderful and beautiful feeling. Only You can do You! I uncovered a Curly goddess today. 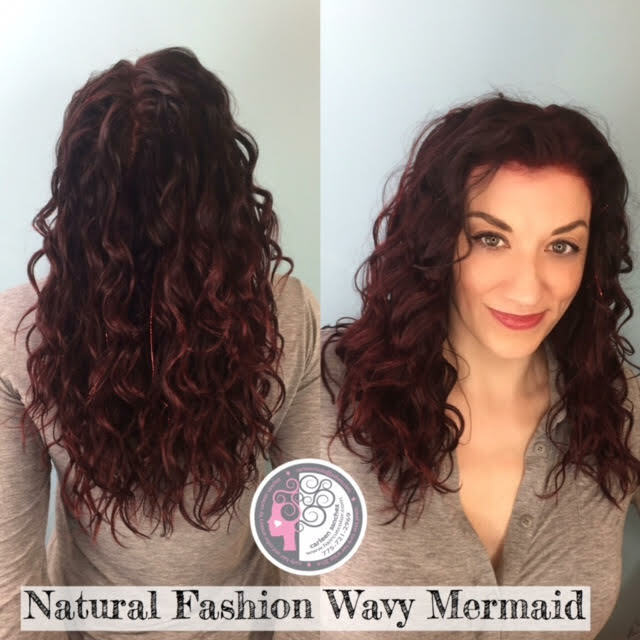 A true blue mermaid with flowing long beach wave and curly hair. The kind of hair that has you whistling “The girl from ipanema” or songs from “The little mermaid”. 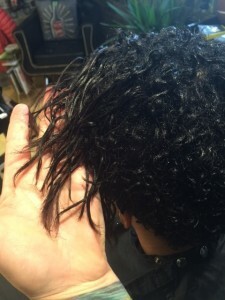 When my new guest came in I could see she was fearful, like so many curly girls are, when they go to a new hairstylist. Her hair was in one of the longest and thickest triangle shapes I have ever had the pleasure to sculpt my haircut into. In case you do not know, Triangles are the last shape that 99% of the curly population wants to sport as a hairstyle. I was overjoyed to be able to give her soft and flowing layers that work with her unique curl type. 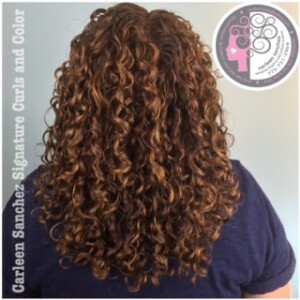 Curly girls have a history of being brushed and combed and made fun of in the average salon by uneducated hairstylists who do not see curly hair for the gift that it is. 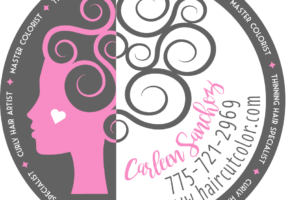 I created and built the first salon in Northern Nevada in the city of Reno, that caters to wavy and curly hair types so they will have a safe haven to let that hair down. In my salon your hair will be celebrated and worshiped! You are a goddess and I will try my hardest to make sure you realize your beauty before you leave. Carleen and her stylin’ team always deliver. An expert colorist, Carleen consults with me upon arrival as to my desired cut-and-color design. Then I sit back with a cocktail and let the magic happen. The ambiance, favors, and complimentary beauty treatments keep me sated as the main course (my customized color) marinates. A shampoo and massage later, I am pampered with sparkly add-ons and a goodie bag gift. When all is done, Carleen dishes out a catwalk look that lasts for months. From soup to nuts, this salon experience is the most decadent. I feel blessed to finally find a stylist that appreciates my thick, curly hair. Carleen and her assistants are wonderful. They work very well together, and explain everything. Carleen is very conscientious and wants you to get what you want, not what she thinks is best. I went in for a cut that would emphasize my curl, and color. I got that and so much more. 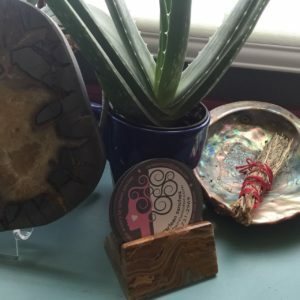 I even had a lesson on how to wash and apply products to make the most of my natural curl, and to keep it healthy. ( oh, and did I mention the amazing hand massage)? This was the best experience I’ve ever had at a salon. I left there feeling wonderful about myself and my curls.